The historian Henry Kamen has spent a distinguished career presenting what he calls a “revisionist” history of early modern Spain. This means taking a more favorable view of the country and its monarchs than the proverbial “Black Legend” of lantern-jawed, inbred Hapsburgs, Torquemada and the Spanish Inquisition, and court dwarves and holy fools in a kingdom where everyone wore black except the heretics destined for the stake and the matadors who skewered bulls in the corrida—a culture where only those glittering knights, Don Juan and Don Quixote, provided a spark of brightness amid the lowering gloom. To a certain extent, Kamen is also what the Italians call a bastian contrario, a born contradictor; he has taken on the Black Legend, one suspects, in part because the fight is such a challenge. His enthusiasm for the fray tempts him on occasion to throw in weak arguments alongside strong ones, and to engage in a good deal of what sounds like special pleading; but his energetic battle also serves as a reminder that natural-born critics are essential parts of the human ecosystem, one of its most effective antiseptics, social, intellectual, and cultural. And Kamen has his points. Spain’s role in the world has changed dramatically in the past few decades. Gloom has lifted from the land of Goya and Francisco Franco to reveal the brilliantly colorful, phantasmagoric movida of Pedro Almodóvar, Penélope Cruz, Javier Bardem, and Antonio Banderas (“dramatically” is definitely the right word). It is easy to understand, in fact, Kamen’s implicit insistence that an entire country, an entire culture, cannot really change overnight from such grimness to such gaiety. All the same, Kamen’s effort to rehabilitate Spain has certainly never taken the easy path. As the titles of his books demonstrate, he has measured himself with some of that country’s toughest historical challenges, writing, after extensive archival research, important studies of The Spanish Inquisition and Philip of Spain. 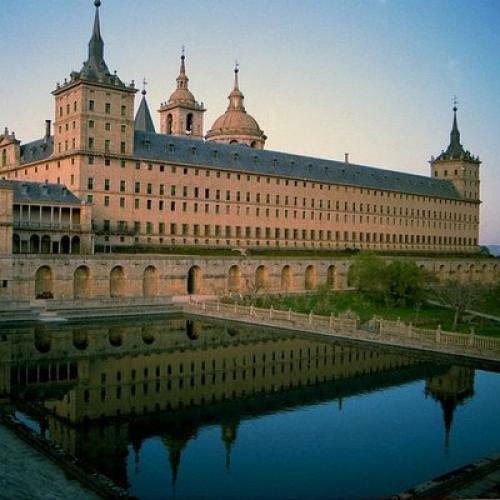 The Escorial fits right into the trajectory of these projects, for the palatial monastery of San Lorenzo de El Escorial was not only the most extensive building project of Philip’s reign; it was also, in many ways, an image of Philip himself. The Escorial has survived to the present day in good repair, spared the fires that plagued so many of Europe’s great palaces, including Madrid’s Alcázar in 1734 (as well as the Ducal Palace of Venice in 1577, Stockholm’s Three Crown Palace in 1697, and Windsor Castle in the modern annus horribilis of 1992). Defending Spain, moreover, has other rewards, for the country is genuinely appreciative of foreign scholars. Until recently, the Burmese-born, Britisheducated Kamen held a chair at the Higher Council for Scientific Research in Barcelona, and my own former colleague Earl Rosenthal used to urge the rest of us to shift our research to Spain because Spanish honorific medals are set with real gems. Since the fall of Franco, indeed, scholars have flocked happily to Spain’s archives, libraries, and vast troves of art and architecture, eager to discover a new viewpoint on European culture. And more than the culture of Europe: through its colonial tradition, however ambiguous it may have been, Spain today is a point of reference for people from every corner of the world. The guides habitually recite the sum total of what the building possesses. The walls stretch 675 feet by 530 feet: they contain 4,000 rooms, 2,673 windows, 1,250 doors, 16 courtyards, 88 fountains, 45,000 printed books, 5,000 manuscripts, 1,600 paintings, 540 frescos. They might be talking of Alcatraz (as it used to be) in San Francisco, or the Lubyanka in Moscow. In the 100 miles of corridor, one may easily lose one’s way. Yet he also reminds us that the establishment was once surrounded by gardens, many planned by the king himself, so that fruit trees and flower beds would have softened its stern appearance. The landscaping we see today reflects the choices of Philip’s successors, including Spain’s longtime dictator Franco, for whom the Escorial held great symbolic value, all the more because it had been the site of a Republican atrocity in the Spanish Civil War of 1936. But the king who conceived the project cannot be held responsible for everything that happened to it after his own time; the Escorial does not look quite as Philip imagined it should. As a monarch, Philip II enjoys a reputation about as appealing as that of Richard III. In his own lifetime he seems to have come across at best as the somewhat colorless, workaholic son of a spectacular father, Emperor Charles V. In the English-speaking world, phrases such as “Invincible Armada” have clung to him as stubbornly as the nickname of his second wife (he had four of them), “Bloody Mary” Tudor. For several years, thanks to his marriage to Mary, he was a Catholic prince-consort resident on English soil at a time of violent struggle between Catholics and Protestants. Many of Mary’s subjects looked upon him with deep suspicion, despite every official assurance that he would never occupy the English throne; the thrones of Spain and the Netherlands would be enough. Yet the Invincible Armada that he sent in 1588 against Mary’s Protestant successor, Elizabeth I, only seemed to confirm old suspicions that the king hoped to engulf England just as he had his other great maritime rival, Portugal. A freak storm may have done more to destroy Philip’s armada than the dashing English admiral, Sir Francis Drake, but it was Drake and Good Queen Bess who seemed in the aftermath to have God on their side, and the British navy that survived to parlay victory into world supremacy. There in the depths of the Escorial. Typically, Verdi blasts away the aria’s sympathetic mood with a sung announcement: “Il Grand’ Inquisitor,” and a low, insinuating cello line punctuated by bassoons, brings on that dreadful personage, who enters, with excruciating slowness, on the arms of two young clerics. The old inquisitor may be ninety and blind, but he is truly grand, and his brain, as we soon discover, works with undiminished Machiavellian speed. His exchange with Philip, bass on bass, runs the range from smooth insinuation to full-throated tantrum (meanwhile the agonized Philip, in a single phrase, will run two octaves from high to low F), and the scene, unforgettable, has been enough to assassinate the poor king’s character for all time. Philip’s final reply has skewered his reputation in saecula saeculorum. Don Carlo, like Schiller’s play, is so fanciful that it barely qualifies as historical fiction—it is fiction pure and simple. But it is impossible for anyone who loves this glorious opera ever to dissociate the real Philip entirely from his Verdian musical persona, or to pace the Escorial without humming “Ella giammai m’amò” as if it really did happen there. Nor is Philip’s favorite painter, Titian, much better than Verdi as an advocate for the monarch’s defense, despite the fact that Titian was dealing with the real Philip, and on the most favorable of terms. As a portraitist, Titian was potent enough in his own right to strip bare the characters of both friends and patrons, treating Pietro Aretino to big crude brushstrokes that reveal his friend’s essential grossness, catching shrewd old Pope Paul III in the act of shrinking back in revulsion from his obsequiously bowing grandson Ottavio, immortalizing the grasping dealer Jacopo Strada in his fur-lined jerkin as he greedily fondles a classical statue. Titian painted several portraits of Philip’s father, the Holy Roman Emperor Charles V, all of them suggesting a man of exceptional charisma and commanding physical presence, but he shows Philip, repeatedly, as pale, slight, spindle-shanked, with a high forehead and a perpetually uncertain expression. The king, as Titian presents him, is not an attractive figure, and it is a matter of apparent character rather than his odd Hapsburg face. Charles V, after all, was an unusual-looking man, with a huge, underslung jaw so prognathous that he could not close his mouth, but the force of his personality transformed that oddity into a kind of physical signature—the distinctive trait of an immensely popular leader. Fiercely intelligent, Charles became the most powerful monarch in sixteenth-century Europe, with domains that extended from Bohemia in the east through the heart of Germany, on to Flanders, Burgundy, and Spain, the Kingdom of Naples—that is, all of southern Italy and Sicily—and the duchy of Milan. He spoke Spanish, French, Italian, and German. He must also have been physically graceful; we only have to compare Titian’s portraits of father and son to see how comfortably Charles inhabits his long lank body, whether mounted on horseback or standing upright, and how awkwardly, by contrast, Philip stands on his skinny legs and his big, gangling feet, staring out at the painter as if he is pleading for pictorial mercy. But Titian, a staunch republican from Venice, has no mercy to spare. This, then, is the unpromising raw material that Kamen must connect with the cavernous monastery that was as dear to the king as his collection of Titians. Both the Escorial and the Titians suggest, at the very least, that Philip was an artistic patron of discriminating and wide-ranging taste, because it is hard to imagine a greater contrast than that between the Escorial’s hard, clean lines and the sensuous textures of Titian’s oils, between the austere, repressive Catholicism of Hapsburg Spain and the voluptuary tolerance of the Most Serene Republic of Venice. As Kamen reminds his readers, Philip II was the most traveled monarch of his era. The eclectic taste was forged by eclectic experience. Philip was born in 1527 to Charles V (whose Spanish title was King Charles I) and his wife Isabella of Portugal. By the time the young man was sixteen, in 1543, his father had gone off to Germany and left him in charge as regent of Spain. Spain at this time was not a unified state by any stretch of the imagination: the kingdom, as Philip knew it, had been created in the fifteenth century by the marriage of two hereditary monarchs, Ferdinand of Aragon and Isabel (or Isabella) of León and Castile. This alliance brought together vast and largely separate territories, and in order to maintain their control it was the couple’s habit to move constantly from city to city. None of Philip’s forebears had a real home or a real capital on the lines of Paris, London, or Vienna; Granada, Valladolid, Toledo, and Madrid were all important, along with the places in between. The rulers of Spain all moved all the time, and Philip did as well, as a child, as regent, and ultimately as king in his own right. The court followed. As regent, the sixteen-year-old Philip was also married off to a Portuguese princess, Maria, who died two years later in giving birth to their son, Don Carlos. In 1548, Charles V took Philip, now a widower of twenty, away from Spain and sent him on an extended tour of Europe. An eager courtier would term this three-year jaunt the “Fortunate Journey.” It was the royal equivalent of the Grand Tour, a way to introduce Philip to the Hapsburg realms and the Hapsburg allies, but also the most efficient means to broaden the young regent’s education in his father’s multilingual, multicultural world. As he set forth for Italy, his cousin Maximilian replaced him in Spain as regent. Philip’s travels would take him from northern Italy into southern Germany, where he spent a year, then on into France and the Low Countries. He attended sessions of the Council of Trent, an Imperial Diet, and a Hapsburg family council. He returned to Spain in 1551, after what Philip called “the most perfect voyage one could wish for.” Yet a Venetian ambassador reported that the prince was not a success abroad: he was “little liked by the Italians, disliked by the Flemings, and hated by the Germans.” Unlike his witty father, he struggled with languages other than Spanish, and in every other respect, too, he came up short by contrast with his glittering parent. Kamen stresses the fundamental role that this trip played in forging Philip’s eclectic tastes in gardening, art, architecture, and music. Essentially a three-year immersion in the Europe of Charles V, the Fortunate Journey does indeed explain many of the qualities that make the Escorial a unique project within Spain, but also within the continent as a whole. Monasteries normally grew up over the course of centuries from a tiny colony to a large community; they did not simply appear on the scene as a single massive design. Nor did other sixteenth-century monarchs endow monasteries with living quarters for themselves: they built churches or they built palaces, but not both. The Escorial is hybrid not only in its purpose but also in its form. The architecture mixes northern European and Italian elements: the steep timber roofs and the pointed towers that are at home in Germany and the Netherlands (where they shed accumulated snow) combine with the domes and the colonnades of Renaissance Rome, where snow is rare but classical ruins are ubiquitous. Kamen convincingly presents the Escorial as a genuine original. He is right to emphasize the fundamental importance of gardens to our understanding of the whole complex, even if Philip’s version of the gardens is long gone. Garden history is a relatively new development as a scholarly discipline, perhaps because gardening has always been so deeply ingrained in daily life, everywhere, since Neolithic times. Philip had grown up knowing the enchantments of the enclosed Islamic-style gardens of southern Spain. The Fortunate Journey would acquaint him with the formal gardens of Italy: the orderly geometric plots, interspersed with fountains, which were one of the most potent instruments of Italian diplomacy. Not only were these gardens beautiful to the senses, with their sights, sounds, textures, and perfumes; they were also ideal places to exchange gossip and intrigue. There were no hanging drapes for a Polonius to lurk behind; and there was crunching gravel to warn of anyone approaching, the splash of water to cover indiscreet conversation. It is no wonder that they spread to the rest of Europe. They afforded endless opportunities for extravagant display and simple delight, but most of all they were useful, especially for people in power. Philip’s Fortunate Journey also put him into contact for the first time with large numbers of Protestants. Charles V dealt routinely with people on both sides of the religious divide, and Kamen argues that Philip was similarly disposed to socialize with Lutherans and Catholics alike, on this trip and on his return to Spain. In the 1540s, at the time of Philip’s Grand Tour, conflicts between the two sides had not yet reached the virulence that would break out in the Saint Bartholomew’s Day Massacre of 1572, or the butchery of the Thirty Years’ War, from 1618 to 1648; but 1527, the year of Philip’s birth, was also the year when Charles V discharged a troop of Lutheran mercenaries in central Italy, and these descended on Rome for six months of mayhem. Their graffiti is pointedly sectarian, like this still-visible scrawl from the house of the papal banker Agostino Chigi: “What should I write ... and not laugh? We let the Pope take a hike.” In the late 1540s the Catholics’ self-reforming Council of Trent was still in its earliest days, and reconciliation between the two sides seemed eminently possible. Spain was another matter. Ferdinand and Isabella assumed the title “Most Catholic Majesties” in 1492 after expelling all the Jews and Muslims from their territories. (Isabella hesitated, but Ferdinand, under the influence of Grand Inquisitor Tomás de Torquemada, insisted.) Characteristically, Kamen’s The Spanish Inquisition: A Historical Revision tried to limit the extent of this calamity, reducing the estimated number of Jewish families uprooted and exiled to some 170,000, but the fact remains that the dreadful late twentieth-century Serbian phrase “ethnic cleansing” goes right back to this moment in Spanish history, when it engendered the concept of non-Jewish ancestry known as “cleanliness of blood,” or limpieza de sangre. As Alexander McCall Smith’s lady detective Precious Ramotswe would say, “That is well known.” Some parts of the Black Legend are not legend at all; they are just plain history. The religious motives behind the Escorial included, then, Philip’s consciousness of his own title as Most Catholic Majesty. His Catholicism also played a crucial part in his next marriage, contracted two years after his return to Spain. The sudden death of Edward VI of England in 1553 had put his sister Mary Tudor on the throne; and Charles V, in rapidly failing health but shrewd as ever, pushed Philip into marriage with the English queen in hopes of forging a powerful alliance against France, a temporary political expedient rather than the beginning of a lasting dynasty—at thirty-seven, Mary’s prospects for motherhood were not those of the usual teenaged royal bride. Mary Tudor claimed to be pregnant, but the news proved embarrassingly false. She began sending heretics to the stake in 1555. Meanwhile, Charles V had become so physically fragile that he resolved to abdicate and retire to a monastery—and summoned Philip to his presence in the fall of 1555. Typically of this complex man, he staged his ceremony of abdication in Brussels, in the heart of his native territory, but when he withdrew from the world at last, in 1557, it was to the village of Yuste in Extremadura, the remotest part of Spain, to a small palace that he was constructing next to the local monastery. He died at Yuste in 1558. Philip, for his part, never made it back to England. He was now king of Spain and king of the Netherlands, not a crown prince in waiting. Mary Tudor hoped passionately for his return, but her death in 1558 made that unnecessary. Charles V’s retreat to Yuste clearly lies behind Philip’s idea of founding a monastery that would also be a kingly residence; and so did an event that took place in the early days of Philip’s reign as king. The Battle of Saint-Quentin in 1557 was the only combat that Philip ever saw personally, when his troops succeeded in holding the Belgian castle of Saint-Quentin against a French assault. As Charles V weakened physically and then moved out of the picture entirely, France increased its pressure on the Netherlands, and so Philip began his reign with a huge defensive operation on his hands. The son of a brilliant soldier, he had been brought up to a military life, but was nurtured more, perhaps, on a chivalric ideal than on Charles V’s gritty reality. As ever, Titian grasped the difference unerringly: he painted Philip standing awkwardly in his study, but Charles he painted astride a galloping horse. The battle over Saint-Quentin proved a crucial setback for the French; the fact that it occurred on August 10, the feast day of Saint Lawrence, meant that Philip would forever after feel a special devotion to that saint. For his general, the duke of Savoy, success meant security for that duchy, and for its most important sacred relic, the Shroud of Turin—which otherwise might have become the Shroud of Paris. By 1559, the conflict went into negotiation: France and Spain reached a truce at Cateau-Cambrésis, and Philip was betrothed to the French princess, Elizabeth of Valois. The wedding took place shortly thereafter in Notre-Dame de Paris, with a proxy standing in for Philip. He would spend the rest of his life, another thirty-seven years, putting that decision into effect. The monastic basilica was inaugurated in 1586, a quartercentury after its conception, and officially consecrated only in 1595. Not surprisingly, its original architect, Juan Bautista de Toledo, had died long before, replaced by Juan de Herrera and a team of associates. By choosing to benefit a relatively small local order, the Jeronimites, and locating the monastery in an unpopulated area, Philip ensured his own continuing control over the Escorial, especially because, like many important monastic establishments in the Catholic world, San Lorenzo de El Escorial responded directly to the papacy rather than to a local bishop. The Jeronimites were largely a contemplative order; their mission consisted in constant prayer rather than active participation in worldly events (although they also established a press with Philip’s support). They could not have been more different from the Jesuits, who established their colleges in the center of cities, actively cultivating young people, women, and heads of state. The remote location, like that of Yuste, served to focus their prayerful concentration, although the Escorial must have spent its first decades in the noise and the chaos of a permanent construction site. Kamen treats the Escorial from a historian’s standpoint; he is more interested in how the project fits into Philip’s plans as a head of state than he is in its eventual architectural form, or in the nature of the works of art that stocked its cavernous halls. Like many historians, Kamen questions some of the basic assumptions that art historians take for granted when they analyze imagery, and this skepticism, too, has its merits. But imagery has always served inescapably as a form of language, and powerfully so in the sixteenth century. Some of the assumptions that art historians have made about the building are matters of a long visual tradition, and so Kamen’s insistence that no association between an idea and a form can be made without written documentation is too stringent. Formal conventions work exactly like social mores, and they can be inferred by applying the same methods. Kamen is skeptical, for example, about the connection between the ground plan of the complex and the traditional symbol of Saint Lawrence, the grill on which he was roasted by Roman authorities when they discovered that he was a deacon in the forbidden Christian church. (Lawrence famously maintained his sense of humor during his martyrdom. As the flames devoured his body, he said to his torturers: “I think I’m done on this side, you may want to turn me over.”) Three churches in Rome claim to preserve drippings of his fat. Kamen is right, surely, in contending that none of the building’s architects began designing a grill, but any program of imagery always creates spontaneous associations. Once there was a ground plan to look at, the Laurentian grill would have been evident to everyone, and the symbol would then have become real. But here, as elsewhere, Kamen’s resolute determination not to believe received wisdom is useful in helping to clarify our ultimate vision of the king and his monastery. The Escorial still boasts a fabulous library and a fabulous collection of paintings. These were originally destined for the monks’ use as much as the king’s, because Philip continued to move from place to place as his predecessors had done. His court was riven with intrigue because all courts are riven with intrigue, but it is hard, even in the face of Kamen’s passionate pleading on so many fronts, not to conclude that Philip, for all his father’s careful grooming, was just a bit dim. Kamen quite rightly points out that some of the king’s peculiarities were products of his culture. Spanish monarchs nurtured an unusual attachment to the relics of saints, but also to the corpses of their loved ones, which, like those of the saints, were thought to contain divine qualities. Philip’s great-grandfather Ferdinand of Aragon carted around the body of Isabella for some months before interring her in Granada. Ferdinand’s relatives, who ruled Naples from 1441 to 1503, were never buried at all; they are still housed in lead coffins on a high shelf in the sacristy of San Domenico Maggiore in Naples (where they give that chamber a distinctly odd smell). Philip’s grandmother, Juana the Mad, carried her husband’s coffin around with her for years—but probably did not peer into it every night and run her fingers through his remains, as the gossips reported. Hence the fact that Philip paid particular attention to the Escorial’s potential as a mausoleum is only a matter of family tradition. Don Carlos and Elizabeth of Valois were the first bodies to arrive there, in 1568. Neither bore the slightest resemblance to the characters in Verdi’s opera. Philip’s eldest son was a horrible boy, with a misshapen head and a twisted, cruel soul. Elizabeth, rather than a weighty and wise soprano, was a typical royal bride: a spoiled teenager whose sole mission in life was to bear children to a man we would consider middle-aged and the sixteenth century would have considered elderly. Philip was married one more time, to another teenager, Anne of Austria, with whom he would spend ten years basking (to the extent that dutiful Philip could ever bask) in something that resembled a normal family life. It was in her company, and that of their children, that Philip would see his great project begin to assume its definitive shape, and this is when he began to concentrate on its garden. Kamen devotes a chapter to a comparison between Philip II and Elizabeth I, concluding that Elizabeth was in fact the greater despot, and this assessment seems fair enough. Philip’s succession was never in doubt; he never needed to fight and scheme as she did, nor consolidate his power by creating a personal myth—the royal body cult had already taken care of that. As patrons, they were both fortunate beyond belief: Titian and Shakespeare do not come along every day. But the paintings that Titian sent to Philip were not, perhaps, the painter’s best—despite Spanish assertions from the sixteenth century onward that the cream of Titian’s crop was sent abroad. Titian was an implacable critic of his own work; his finest efforts, surely, were the ones he knew he would have to live with every day for the rest of his life, and so they are found in Venice. What was Philip going to say? He saw only what he was sent, not the full range of the product. What, in the end, are we to make of Philip and his Escorial? It has long since ceased to function as a monastery; the Jeronimites were ejected by Napoleon (who also suppressed the Spanish Inquisition), replaced at his fall by the Augustinians, and the last Augustinians were slaughtered by the Spanish Republicans in 1936—a blot on the Republican copybook that clearly pleases the contrarian in Kamen. The Escorial today is a museum rather than a residence. The royal family of Spain has a stable capital in Madrid, and it is no longer so remote from its public, nor so rapacious in the demands it makes, either on its citizens or on the members of its own family. Prince Felipe, after all, has married his Letizia, and the country is delighted. Spain today is altogether a better place to live than it was in the time of Philip II. Kamen notes that the king attended “only” four autos-da-fé in person, and that none of them involved burnings at the stake. But surely it is incontrovertible that Spanish colonial rule, the Spanish Inquisition, and Spanish pressures on the Catholic church caused the world untold misery. The legacy of Philip II and the Escorial is as mixed and ambiguous as their eclectic heritage. Ingrid Rowland is based in Rome at the University of Notre Dame School of Architecture. She is the author, most recently, of Giordano Bruno: Philosopher/Heretic (Farrar, Straus and Giroux). This article ran in the September 23, 2010 issue of the magazine.